@Barry Sandland/TIMB – Vintage bike medals, the remains of many a vintage ride long gone. There was was a small stand at the Stalen Ros event carrying the metal badges of bikes that will be hard for anybody to find today. 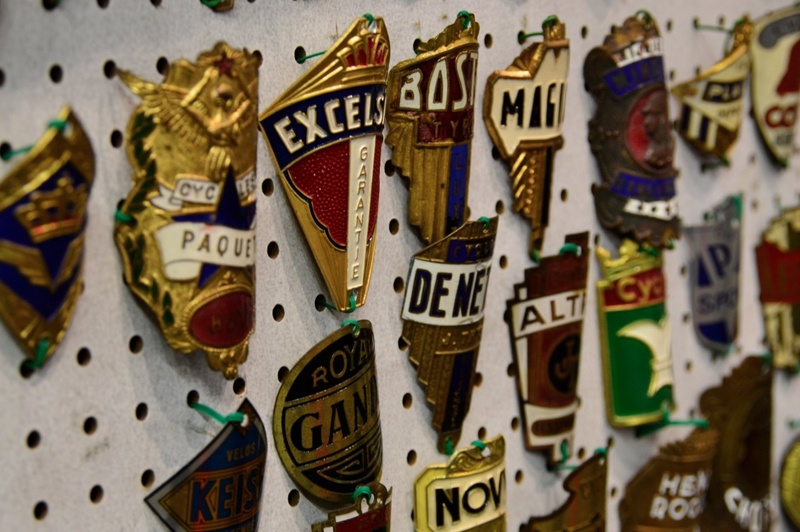 Their original owners are likely gone, the frames few and far between, the badges remain. Our decal-bedecked rides will never have this history.